This post originally appeared on Girls’ Globe. For 24 hours, Loy labored in a small hospital in the Iganga District of southeast Uganda. The delivery was so difficult that it ruptured her uterus. Tragically, her baby did not survive. Doctors performed a hysterectomy, but a few days later Loy noticed she was leaking urine. She went back to the hospital and learned that she had likely developed an obstetric fistula, a devastating childbirth injury caused by prolonged, obstructed labor that renders a woman incontinent. It is most common in developing countries where women have limited access to antenatal care and emergency obstetric services. Uganda is no exception. Thankfully, only six months after she began leaking, Loy was able to access free surgery to repair her fistula through Uganda Village Project (UVP), a small organization in Iganga focused on public health and sustainable development. Loy heard about UVP through a friend and approached the organization for help. They brought her to Kamuli Mission Hospital where her fistula was healed after two operations. Loy’s journey with UVP did not end there, however. She wanted to do something to help other women like her; women who had developed fistula during childbirth but might not know the direct cause or their treatment options. Today, she is helping reach thousands of people in Uganda and identify dozens of new patients as the coordinator of UVP’s Fistula Ambassador program. Many people don’t realize that finding patients can be almost as difficult as treating them. Women with fistula are often isolated and marginalized due to the stigma surrounding their condition, and many are hesitant to come forward. Through UVP’s program, former fistula patients are trained to become Fistula Ambassadors in their own communities and beyond. These women are trained in basic fistula knowledge and communication skills and are given uniforms and educational materials in order to conduct their own outreach sessions. This has been a particularly effective approach to outreach, as women feel more comfortable coming forward knowing that these ambassadors have been through the same ordeal themselves. The Fistula Ambassador program, inspired by Loy and funded by Fistula Foundation, has been an amazing success. Since it began in 2013, 20 ambassadors (all but one of whom are former fistula patients) from eight different districts have been trained by UVP. Together, they have been able to raise awareness about fistula to over 6,400 people and have identified 65 new patients and referred them for free treatment. Fistula Foundation and UVP will continue working together this year to grow the Fistula Ambassador program and ensure that more women in more areas of Uganda are able to get the treatment they need. 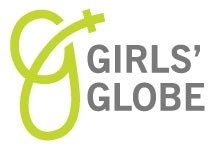 Visit this blog on the Girls’ Globe website.